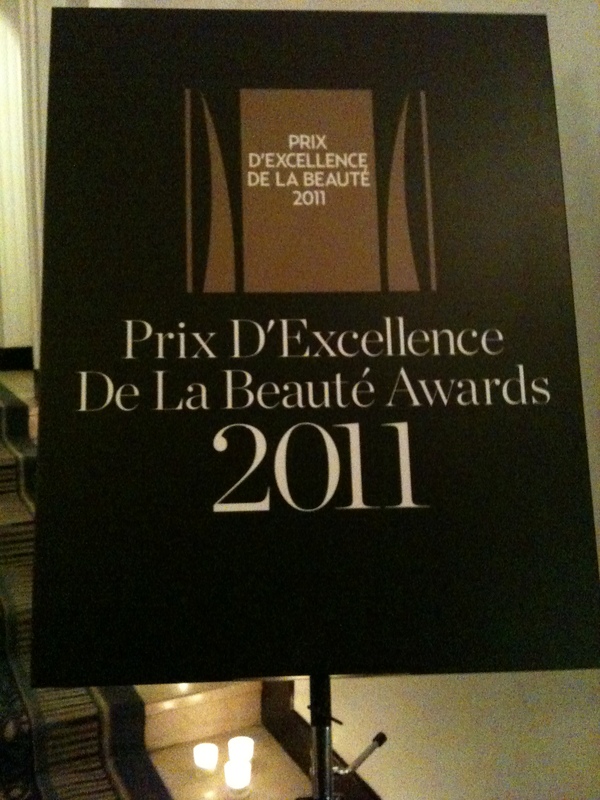 What better way to end a Monday than a glamorous Awards ceremony at the Claridges Ballroom for the annual Marie Claire Beauty Oscars Prix d’excellence de la beauté awards 2011. From champagne and beauty gossip with the beauty pack to the award winners acceptance speeches, hosted by the very glamorous Christine Bleakley from Daybreak and the lovely Trisha Halpin, Editor in Chief Marie Claire UK. The Awards themselves were split in two categories best International Winners – as voted by both Marie Claire International judges and the creme de la creme of beauty journalists across the globe; from Marie Claire – Lisa Oxenham (UK), Ariane Goldet (France), Ying Chu (US), Ana Serrano (Spain), Antonella Bussi (Italy) and representing the beauty journalists vote: Emmanuelle Demarest, Marie-Francoise Dubillion, Dominique Garnier, Aurelie Lambillon, Emmanuelle Lannes, Genevieve Murat, Brigitte Papin, Marie Pouzol, Alexandra Raillan and Zoe Zhang. Clinique Even Better Clinical Dark Spot Corrector – this wonder product has been rushing off our high street and online store shelves faster than the Clinique consultants can utter the words ‘miracle serum’ with its clinical proven results of a 53% improvement in dark spots after 12 weeks use this potent skin solution of Vitamin C and Salicylic acid is sure to become a true icon! Lancome Teint Miracle Foundation – a foundation I have yet to try but is coveted by a number of my friends who swear by its multi tasking properties and barely there effect – it moisturises, gives SPF and long-lasting coverage. Guerlain Abeille Royale Youth Serum – The power of honey harnessed in this youth serum, every skincare brand on the market has their version of a youth fighting serum and the masters at Guerlain prove to strike gold with this fab product infused with Royal Jelly and honey to help skin self repair, despite it reminding me of buying my grandma Royal Jelly as a child I’ve tried this product and do think it’s really worth the investment! Garnier Ambre Solaire Golden Protect Oil SPF30 – With all the sunshine today I decided it was time to dare to go bare-legged after months and months of opaque tights, I am not convinced it was quite the right decision but it has got me in the swing of feeling summery so it was fab to see one of my favourite sun protection brands winning an award. Plus it’s fantastic to see an oil with such a high SPF – I have very pale skin (thanks to my very blonde hair and English complexion) so a high SPF is a requirement even in the slightest ray of sunshine! So on to my favourite part… The British beauty winners! Best Beauty Care product goes to – Olay Regenerist 3 Point Super Serum, this products predecessor generated a waiting list of over 20,000 women so it’s not surprising its made it to the top spot. However that said I had real problems with this product – I tried it’s predecessor and had the worst reaction to this serum resulting in a month of just using Aqueous cream on my face it was so sensitive after using it…. so unfortunately it doesn’t get my seal of approval – but thousands of others seem to love it! Highly commended in this category also were: L’Oreal Youthcode, La Prairie White Caviar Illuminating Serum and Skinceuticals Pigment Regulator. Best Make up product – Yves Saint Laurent Rouge Pur Couture Lipstick. I’m a huge lip junkie from glosses to lipsticks and even balms I love trying and using new textures and lip products and this is a fantastic lipstick – the colour pigment is strong on application and truly has a great long-lasting wear – I can highly recommend it! Highly commended in this category: Garnier Youth Radiance 2 in 1 Tinted Eye Roll on Concealer, Burberry Make Up range, Chanel Rouge Coco Lipstick. Best Ethical product – Clarins Gentle Beauty Soap – I was really pleased to see this product win, Clarins work tirelessly at their ethical responsibilities when using exotic plant ingredients by replanting and supporting local communities without shouting about their green ways, so it’s lovely to see them recognised with this gentle little soap – which itself has an Ecocert organic certification. I am a huge soap fan so very happy to see soap taking centre stage in the beauty elite once more. 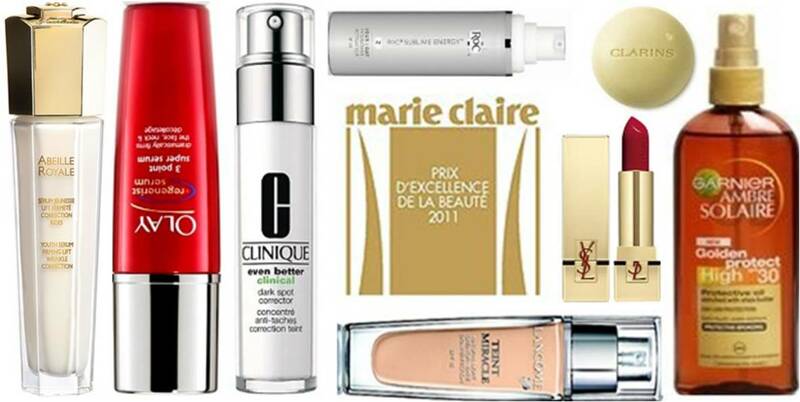 Highly Commended – L’Oreal Professionnel Serie Nature Range, Une Make-up Range, Aveda Control Force Firm Hairspray. 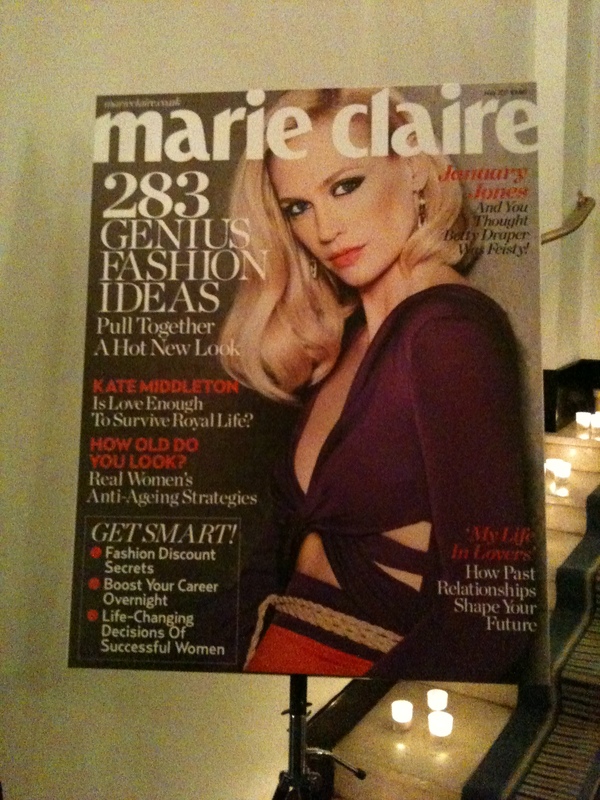 That’s it for this year… time for one more quick glass of Champagne to celebrate the winners and a read of Marie Claire on the tube home! The skincare foundation you wear to bed!